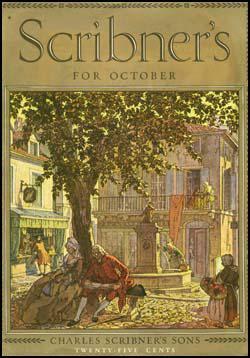 Scribner's Magazine was first published in January 1887. It is claimed that Charles Scribner's Sons spent over $500,000 in setting up the magazine that would be able to compete with the successful Atlantic Monthly and Harper's Monthly. 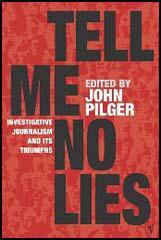 W. T. Stead, the editor of Review of Reviews, argued that the "strength of Scribner's lies in the illustrations". This was achieved by the editor, Edward Burlingame employing the best engravers in the country. Although primarily a literary journal, occasionally it published political material by writers such as Jacob A. Riis. This included the ground-breaking How the Other Half Lives (1889) and The Poor in Great Cities (1892). One of the most important innovations introduced by Scribner's was the use of full-colour illustrations. When the first of these appeared in 1900 it created a sensation in the magazine world. Over the next few years the magazine used the work of artists such as Howard Pyle, Howard Christy, Charles Marion Russell, Walter Everett, Maxfield Parrish and Frederic Remington. Circulation continued to grow and when Theodore Roosevelt had African Game Trails published in the magazine, sales reached 215,000. 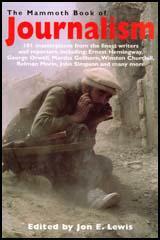 During the First World War the magazine employed writers such as Richard Harding Davis, Edith Wharton and John Galsworthy to write about the conflict. After the United States entered the war in 1917 each edition of Scribner's included four to six articles on the war. After the war sales began to fall and by 1930 was down to 70,000, while Harper's Monthly had 120,000 and Atlantic Monthly, 130,000. Unable to make a profit, Scribner's Magazine ceased publication in May, 1939.